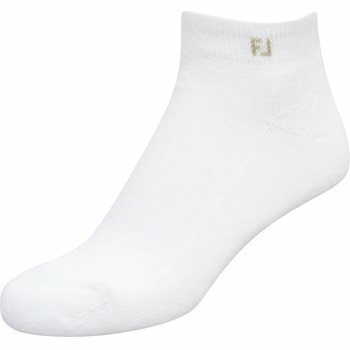 The FootJoy Ladies ProDry Sportlet sock has an ankle fit design and features DrySof™ moisture control technology which helps remove moisture and improve breathability throughout the sock. The Comfort Seam is FootJoy''s exclusive enclosed toe seam for advanced comfort and fit. These socks have a lightweight construction and will provide comfort and style on and off the course.